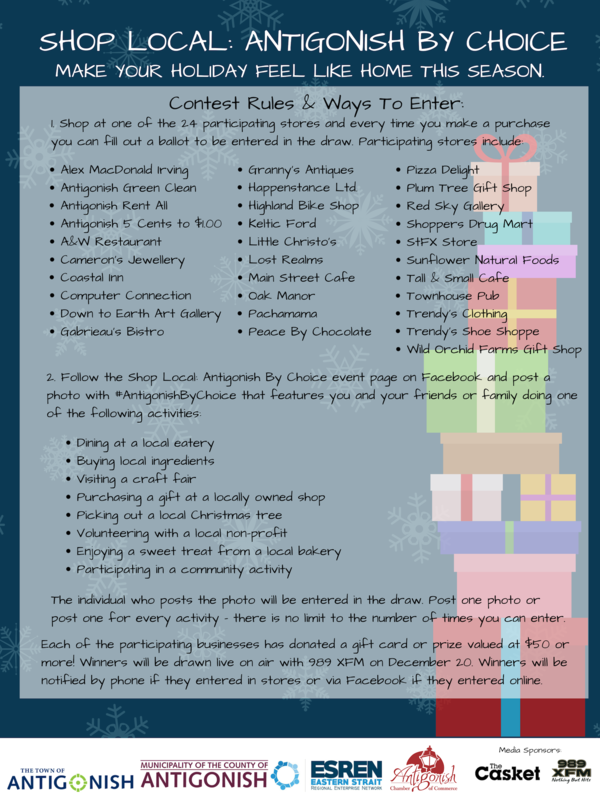 The Town of Antigonish, Municipality of the County of Antigonish, Eastern Strait Regional Enterprise Network and the Antigonish Chamber of Commerce are teaming up to launch Shop Local: Antigonish By Choice holiday campaign. 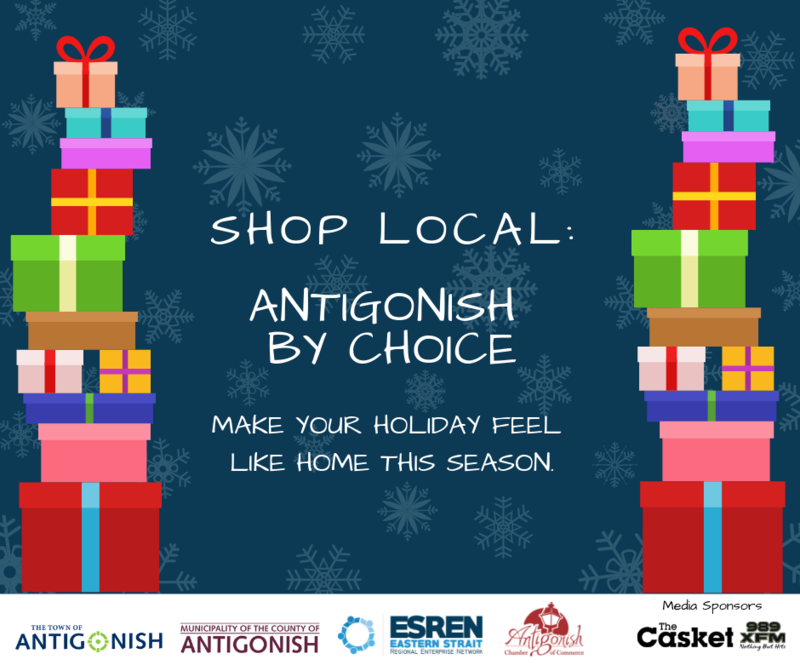 “The Shop Local: Antigonish By Choice holiday campaign encourages residents to keep connected to our community and invest their dollars in the future of Antigonish by shopping locally. We have chosen to live in this community and it’s our responsibility to support these businesses that contribute to our local vibrancy,” said Laurie Boucher, Mayor of the Town of Antigonish.